I got this book through my local library’s Overdrive e-book collection (epub). While I liked the story, I was not too fond of the writing and organization some of the time. It’s not horrible but I don’t think it’s the greatest either. I liked that this was essentially a rescue horse. I liked that the horse was so calm (even calmer than 26-year-old Czar, the horse I currently ride). I thought Snowman’s escapades were hilarious. I loved that Snowman was essentially a novice lesson horse (and in the first year…for flat-only). But the writing irked me somehow. Obviously (too obviously), it was written a general public audience. There were times that I really wonder if the author has ridden and apparently, she has a strong riding background but somehow it doesn’t show in the book. In chapter 2, she writes “He let the reins slide out between his fingers, almost all the way to the buckle that joined the two pieces. If the gelding startled and took off now, Harry would have no way of controlling him” (p25-26, ebook ed). What? Can’t you quickly scoop up your reins? Sort of? Sure it’s harder perhaps and maybe impossible if he galloped off (but even then the rider would probably scoop up the reins) in blind terror or the reins went up the neck or he just got really, really strong. Still, I wouldn’t have said that the rider had “no way of controlling him”. Limited? Perhaps. But I don’t know about “no way”. Hell, I’ve had horses spook during long-rein walks and I’ve managed to gather the reins, slow down and not fall off….if I can do it, anyone can! (I’m not a very good rider, just walk/trot/canter on reasonably calm horses…yes, a horse like Snowman would have been great…even without the crazy jumping prowess!). I wonder if the writer has been away from the saddle for far too long…. Anyway, for the most part, the chapters are arranged chronologically which is fine. However, I did not like the chapters which told background and contextual information were their own chapters. Maybe its because I read the source material (Tarr and McShane, The Horse in the City and Green, Horses at Work) already for an essay about a year ago but Chapter 4 seemed to be a summary of some the points about workhorses. I know that. At the same time, during the Madison Square Garden scenes, she fails to give the contextual background of urban horses then and the fact that historically, “urban” (including New York) actually had a significant amount of livestock. In that way, she failed to weave the contextual and historical information into the narrative and just left it into its own separate sections which gets kind of jarring since it removes the reader from the narrative for at times, the entire chapter (when you start wondering…how is this exactly related? It is but it’s gone on for far too long without making direct connections). This doesn’t really happen in the later chapters but it does happen in the first few chapters (such as chapter 4, chapter 5, and chapter 11 a bit…perhaps more). There are times when she does manage to weave in historical information…so I don’t know what’s with the out-of-narrative historical information chapters. Not enough room or something? While this is reasonably coherent enough to read and keeps the chapters on topic, having aside chapters is not that elegant. 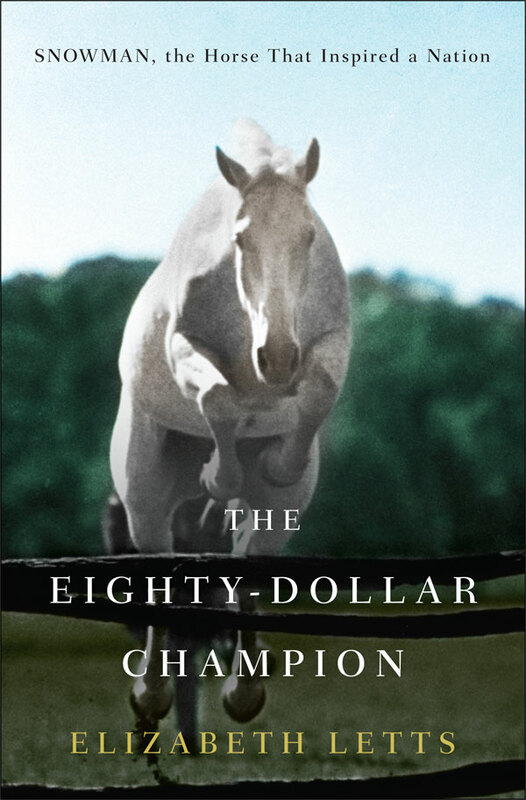 Also “Eighty dollars” makes the horse seem way cheaper than he actually was at the time. While the information fluctuates and out-dates too quickly for print, she should have at least contextualized how much money this was. $80 is not a lot of money today. In 1956, it was worth significantly more. According to various inflation calculators, in 1956, $80 was worth approximately $685.38 in 2013 dollars (maybe more, maybe less). While it is still profoundly cheap for the horse Snowman would become, it’s not exactly pocket change either. The writing style seems similar to children’s literature. There was already a children’s book on Snowman – although out of print, but I feel that this book isn’t supposed to be a children’s book. So why is the writing style similar to one? I don’t know. There are always way too many mentions of “chomping at the bit”. Really? That pun is old. Writing-wise, it seemed to be unable to decide if it was trying to be a narrative or something more….grounded. The writing is not elegant or subtle enough for a satisfying narrative…it felt too cliche, too simplistic and concrete somehow. Yet, it did not have enough citations or the depth for any sort of academic level inquiry. Still, I found it entertaining that it mentioned mountain climbing in a historical context as that’s what we studied for my environmental history class last year. I knew they were parallels! (I find it easy to make connections across disciplines and mediums and am naturally inclined to do it). I also liked that she included citations (hmm…I think this book uses Chicago formatting or a variant of it? Wow!) and an transcript of an interview with Harry (although that interview was very, very short). It would be nice if we could have access to some of the primary sources she used. Longer versions that is. It’ll be cool. However, my criticisms are probably because I’m a very different type of writer (I although I adhere sometimes too strongly too my framework in long writing, I also try to weave things together) and because I’m used to academic reading. As a horse person (though not a jumper, I don’t don’t jump because…I don’t know anymore but I currently don’t have a horse to jump), I liked the story. As a person with an English/history academic background, I felt the writing could be more elegant (although Snowman was initially clumsy so…maybe that’s a reflection on that…ha!). I wish there was some sort of link to media of Snowman (and we know it exists because it is mentioned in the book and such, although it’s not old enough yet for public domain) and/or media was included in some way. The words and stills cannot describe the sight of him jumping over another horse!! So here’s a YouTube video (not by me).